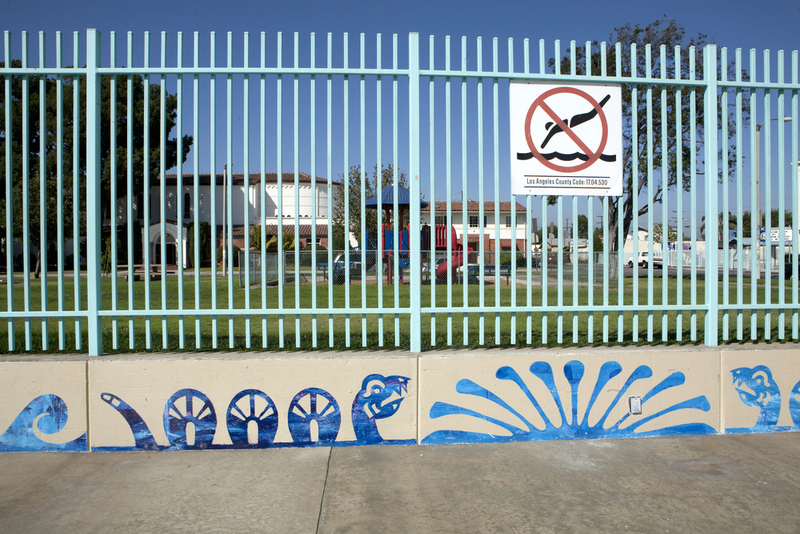 "The Water Cycle: Eternal Flow", public art installation commissioned by the Los Angeles County Art commission, 2008. 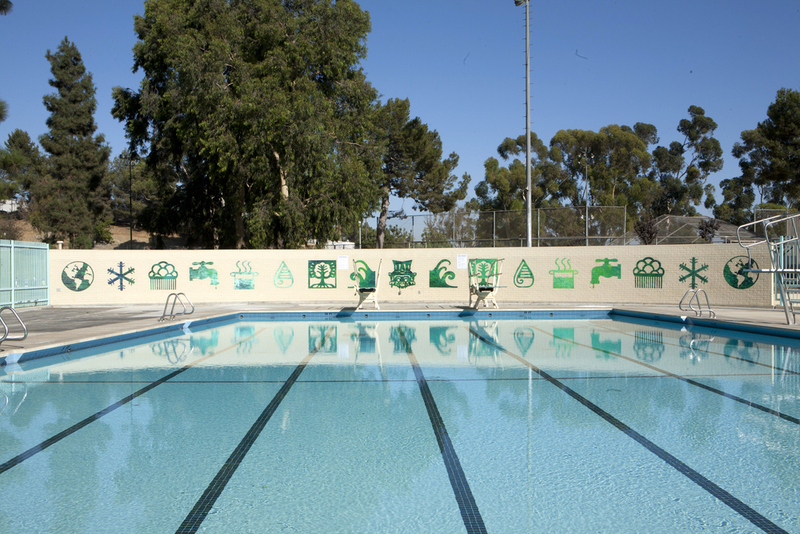 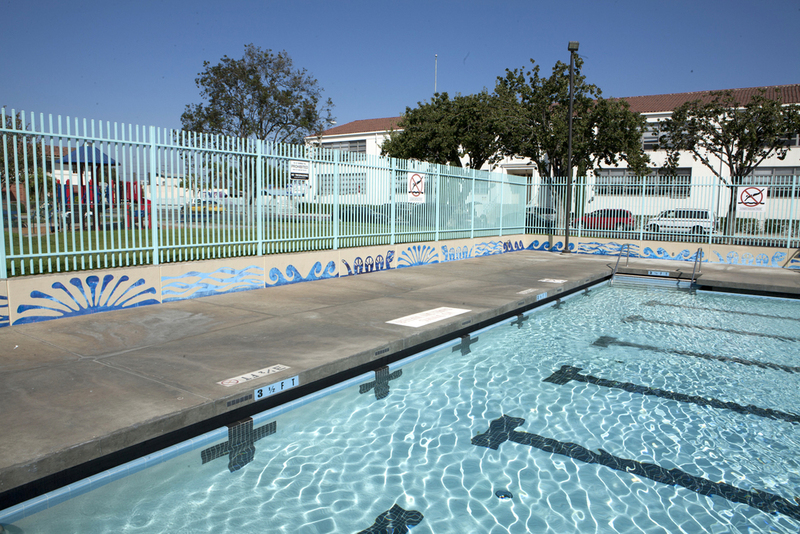 Artist designed stencil murals for public pools in four locations in East Los Angeles: Obregon Park, Atlantic Park, Belvedere Park, and City Terrace Park. 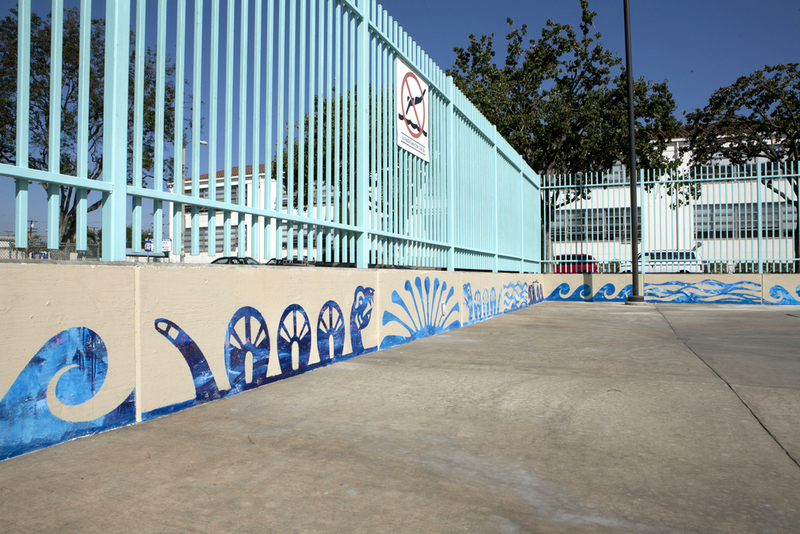 Murals painted by youth from the Los Angeles Conservation Core.